So I have something to show all y’all. It’s super pretty, and it’s super exciting, and it’s my very own book cover for my very own book! That totally has a release date and everything! 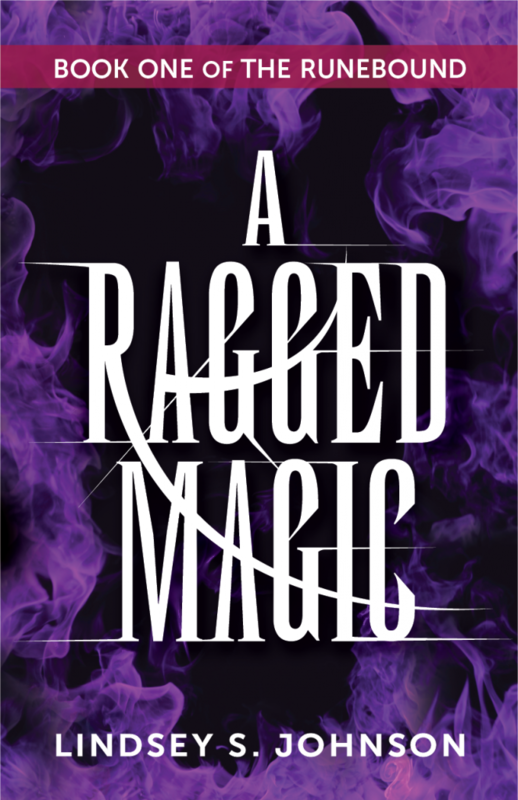 That’s right, A Ragged Magic is coming out on November 18th, 2014, and will have the following beautamous cover, by the talented and wonderful Angie Abler, who did such a fantastic job. Many other things in my life are stressful at the moment, although they’re calming down little by little. But the cover – I did not worry about the cover looking wonderful. I knew it was in good hands. Angie is one of the more talented people I know. In the interest of full disclosure, I’ve known Angie since I was 5 and she was 6, and 1st grade was 4 weeks from starting. She’d just moved into the house one over from mine, and she came over to ask if there were any kids who wanted to come and play. I don’t remember that part. I remember playing pretend with our Barbies out in the cul-de-sac, which we called The Circle. She was so easy to play with, and we had so much fun, and she had some of the best ideas ever. It was epic story time with our dolls and I couldn’t believe there was someone else who wanted the same kind of elaborate, crazy-fun back stories I did. (At 5, the back stories might have been a little less fleshed out than I try for now. But they had a lot of flying in them.) I remember when she transferred into 1st grade (she didn’t start the year in our school) I was so proud to be able to say I already knew her. We have been playing pretend ever since. She is the bestest friend, and bestest pretend partner ever. And now she’s made me this fantastic cover, and I’m so happy. It’s my birthday next Monday. Happy birthday to me. And happy book cover! I do not have to yell fire when I fall into the chocolate, so that someone will save me. (Although I contend that yelling “chocolate” will get someone to at least investigate.) I can just yell “Book Cover” so you will take a gander and get excited about my book.